Pure polished template. Based on 1 column home page layout with image slider and product tabs on the home page. Perfect solution for any store with high-end quality. If you need to have friendly looking store with clear interface, the Pure Universal theme is good choice for you. It's welcome page looks nice and welcoming. Clean design is a high-end. 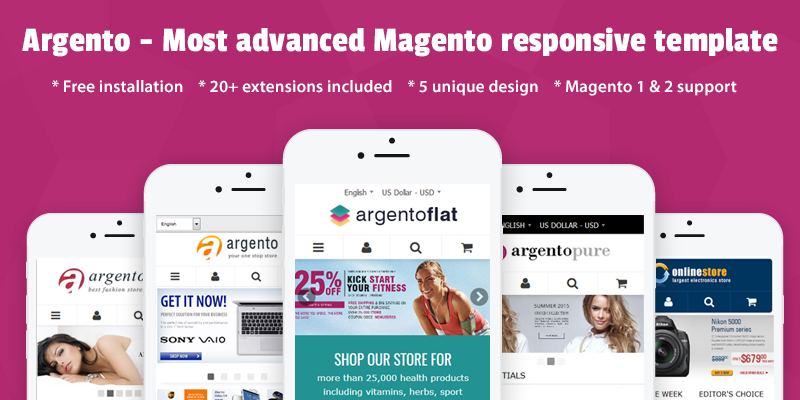 Find out more information and reviews about our template at Magento Pure Universal theme page. Looking for better offer on this product or Magento 2 extension release? Check our new home for all our Magento modules and themes — Swissuplabs. We do offer free installation services on all our commercial extensions. Our support team is fanatic when it comes to making our clients happy. All our extensions are completely open source. Theme is based on 1 column home page layout with image slider on the main page. Built-in additional products tab block with tabs such as Bestsellers, New Arrivals, Recommended products, On Sale, About us will help users to easily navigate through your store. Lightbox image module is already installed, so customers can enjoy of attractive products’ images. Theme is provided with Easy Slider extension, that allows to create unlimited number of sliders and place them at any page of your site. Highlight module is also a part of the theme. Highlight widgets can be used to create dynamic product listing blocks at any part of your store. Please check Pure Universal theme and you will see that it is easily customizable. This nice template is build for your users first. Professional quality of the template will help your store always keep afloat. With Highlight You can filter products by category, price, attributes, show best sellers and popular products with out any need to edit your store code. Check more details at extension page. With the Easy Slider extension you can easily create professional looking image sliders and improve your store just in 1 minute. Check more details at extension page. All our themes are based on improved HTML structure and build with SEO in mind. Every Magento page was optimised in order to fix major SEO issues and improve your store SEO ranking. Get free professional installation services on all our commercial templates within 24 hours. 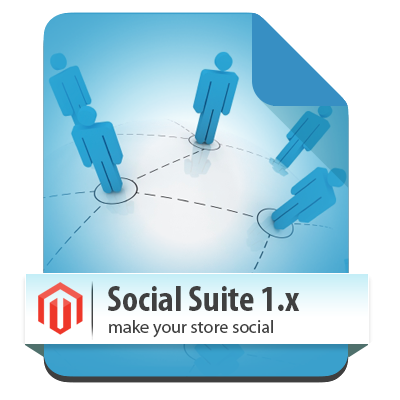 Template will be installed by experience developers with deep Magento knowledge. 1 year of free templates updates guaranteed. So you should not worry about new Magento releases. You still will be able to use your new store design with recent Magento releases. Our support team is fanatic when it comes to making our clients happy. If you have any problem then please simply contact us at contact form and we will get you in touch within 24 hours. You can use our themes on several stores hosted on same server. So you don’t need buy additional licenses for each new domain you will add to your multi-store magento installation. All our themes are tested to ensure they are compatible with most popular web browsers. Best results guaranteed for Firefox, Chrome, Internet Explorer 7+, Opera 11+, Safari. You can edit and check any part of our code and be sure that code is secure. We don’t encode or encrypt our extension and templates code. You can be absolutely sure and have full control over your store design. All our themes contain photoshop source files and created by experienced designers. In order to make modification process simple all layers and groups use logical naming structure. The theme itself is very polished. The support is the biggest selling point it is fast friendly and effective. I have bought many extensions from them too and all of them are brilliant. Simple and easy to use theme - and great support. I used them to install and also make a few small changes which they did right away. Excellent theme and amazing support. Heavily featured schemes become unreadable fast. This one is just pure as a virgin, and configurable as one. But with buying this theme Yu also buying great support with implementation. And good support = less time wasted on searching for simple mistakes. So this theme is as nice as easily configurable and worth its price. This is a very nice theme by Templates-Master. They were very generous to make changes to the theme whenever I ask them. Top-notch quality and customer support. They are very prompt with their e-mails when you have questions about their themes. I rate this theme 5 stars because it suits the products that I am selling to my customers. Lastly, some of you may be irked by the high prices on any of Templates-Master themes but fear not... their services and customer support are very high quality and most of all, they're available to you at no cost! I have a feeling they will be around for a long time while continuing to bring us quality, unique themes. Thanks Templates-Master. View all reviews for Pure Universal Theme. A: Danny, please contact us so we can discuss changes that should be done. We do need to agree complete list of changes before we will be able to set final price. Q: Is this template ready for Magento 1.9.2? A: Yes but i would suggest you to consider using our http://argentotheme.com/ which offer same design but much more features. Q: Hi. i purchased this template a while ago and had a question.I've noticed that it doesn't have any star bars on the reviews section. This seems to me to be a feature of the normal magento and is an important part of ecommerce. Can i re-enable this somehow?Best regards. Adam. A: This template have that feature but reviews are simply not show on categories pages. You can contact us at http://templates-master.com/helpdesk and we will be glad to help you if you have reviews problem on product page or add them to categories listing page. Q: Is this template ready for magento version 1.6.0.0? A: Right now we are working on upgrading all themes. This theme should be available in 1.6 edition in next 1-2 days. Q: Is this template ready for magento version 1.5 and can we change all the lettertypes and colors? A: Thank you for your interest. Yes this template is compatible with 1.5 Magento version. Also you can easily changes all colors and letter-types in template custom.css. Q: Has this theme been tested with 1.4.2 and run's well? 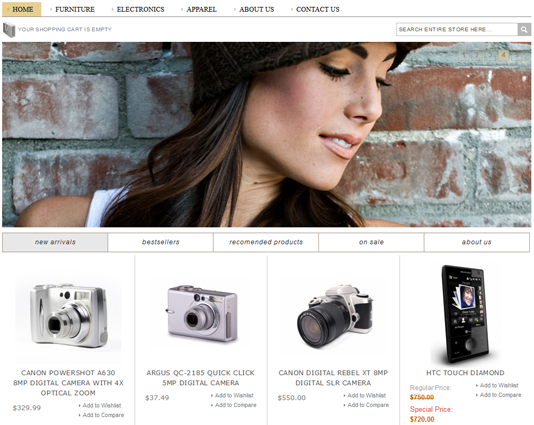 A: Yes this theme was upgraded to 1.4.2 magento version. Q: does this one support 1.4.1.1? A: Yes, Pure universal theme support Magento 1.4.1.1. A: Yes sure. Thank you for you interest. Q: Why does it take so long fore the pages to upload? A: Our demo server have a lot of visitors and that is the reason why it loads a bit slow. Q: We are running our store under Magento 1.3.2 and not planning to upgrade right now. Can we use this theme? 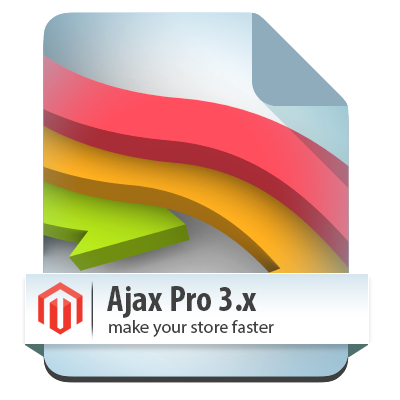 A: Yes, this theme is available both in Magento 1.3 and 1.4 version. Improve your store usability. Using the extension, you allow customers to add products to a cart and edit a shopping cart content faster without page reload. Manages banners, pop-up windows and custom blocks at your store right from admin interface. 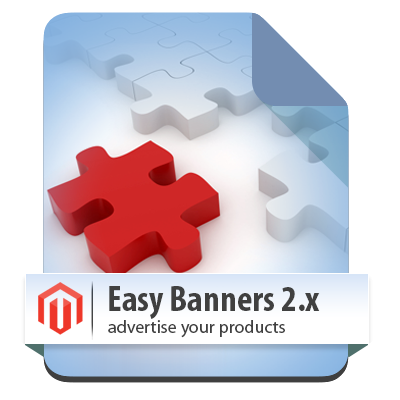 Allows you to track the total number of views and impressions of banner. Attract new customers to your webstore, using social media. Facebook, Pinterest, Twitter, Yahoo and Google integration. Help your customers to share their wish list, orders and reviews, like your products and categories and post comments on your products pages !